Announcement Welcome! 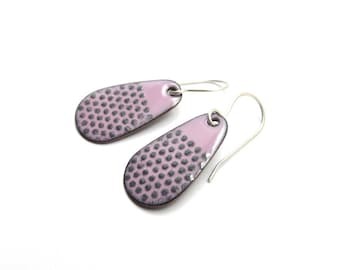 Here you'll find modern handmade enamel jewelry. 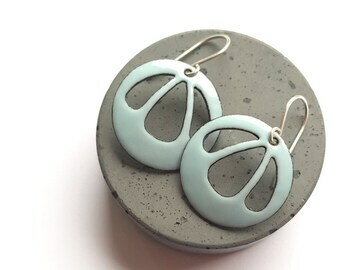 Each necklace or pair of earrings is designed and torch-fired by me in limited quantities. I hope you enjoy your time in my little corner on Etsy. Thank you for stopping by! Welcome! 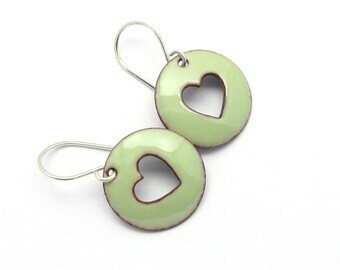 Here you'll find modern handmade enamel jewelry. 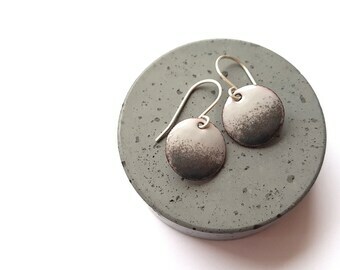 Each necklace or pair of earrings is designed and torch-fired by me in limited quantities. I hope you enjoy your time in my little corner on Etsy. Thank you for stopping by! Repeat customer! Love this shop! No issues. Happy returning customer. I love these earrings! No issues at all with shipping! I create modern and uncomplicated jewelry for a woman who is looking for a touch of color to finish the outfit. My jewelry is lightweight and suitable for everyday wear in the office as well as for the night out. Every piece is designed and made by me. I've been creative all my life with the main focus on drawing and painting. Jewelry making for me is one more form of expression and enameling is one more way to apply color. There's something magical in the process! Enameling is fusing powdered glass to metal at high temperatures. Torch firing allows me to have more control over the process and to observe how the powder softens, flows, and then hardens to a smooth, durable vitreous coating. I'm inspired by colors and modern design. Another great source of inspiration is my everyday life and people I meet. I'm manager of arts turned artisan. Working with artists is great, but it also felt like something was missing. I needed my own creative outlet again. And then I discovered Etsy and enameling. However, I couldn't escape myself and I'm also captain of Etsy Latvia Team which is a group of talented makers and business owners here on Etsy. My name is Rasa and I love making colorful jewelry. Welcome to my little corner on Etsy!